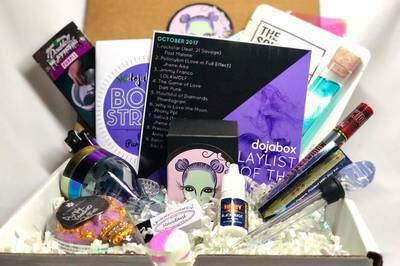 Enter your email address below to receive a notification when Dojabox starts accepting new sign-ups! Enter your email address below to receive a notification when Dojabox is accepting new sign-ups again. Orders will be shipped typically around middle of the month (the 14th). 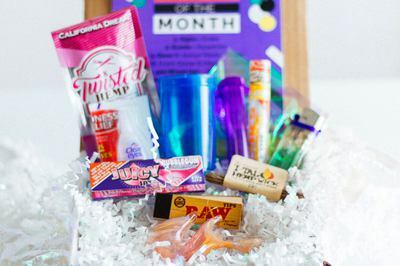 To get your box this month, make sure to order on or before the 10th! Boxes ordered after the 10th of this month, will roll over to next month's shipments. 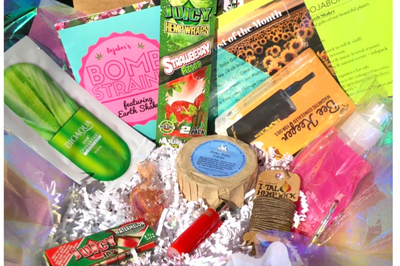 Unbox your Dojabox to reveal a dope kit for relaxation and self-lovery! We probe every dimmension to deliver the dopest products to your moon base. 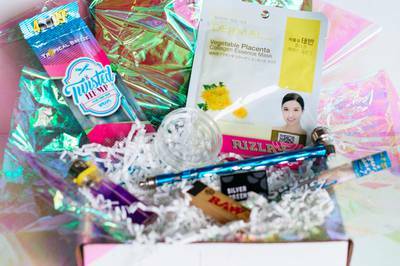 Our boxes contain items like beautiful glass pieces, cruelty-free bath/beauty products, smoking essentials & accessories, self-care items, novelty activities and our Playlist of the Month. 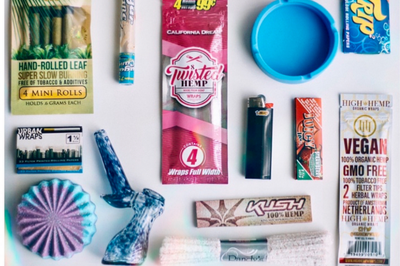 Unpredictable items to treat yourself! I was looking forward to the box. I ordered it for 4/20 way ahead of time and got 4/23. The product inside was wack. I received a huge pack of wipes. Really? I paid money for some wipes? Nothing good in this alpha box this March.. Sad, last month was decently nicer than this month. 1st month was cool just got second month today and it was sad. I ordered my first ever dojabox on February 11th, so I missed the cut off and supposed to receive the March box. Ships on the 14th? Here it is the 20th and I haven't received a tracking number or any kind of response from them. Horrible customer service. No where near worth the money and they sent things like a lighter and chapstick. Like I would’ve at least liked a BIC and some Bert’s Bees. My piece was also just a very cheap, one color steamrolller with a chip out of it.. I also waited like 2 months the receive this box. All in all, pretty disappointed..
Great subscription - after some early misses with cultural appropriation in October (Latinx) and November (Indigenous American), the February box has been a joy - focusing on self-love instead of romance was a great call. The mix varies every month and i love getting a bath bomb with my smoke kit. 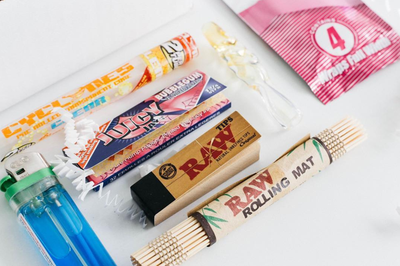 The glass pieces have been fun, the rolling papers good, and i enjoy the creativity that ties boxes together - having a focus on a strain or holiday makes it feel less like i'm reupping my supplies and more like i'm getting a present. I mean what you get in it is pretty average. I don’t think I would do it again, it was fun for my friend. The items felt a little random but maybe it was for the theme of the month. I ordered Dojabox through a Groupon deal. I ordered at the end of January, so my first box was due to ship on February 14th. When I didn’t receive any tracking, I contacted them asking for it and only received a “shipping confirmation” email with no tracking. I asked them again for tracking and got no response until I publicly commented on their Instagram. They messaged me saying they would resend the tracking shortly, and they never did. I have a funny feeling my box never actually shipped, and I don’t know if I’ll get any of the three I paid for. Disputing the charge with my bank and reporting to the BBB... and this doesn’t even seem uncommon according to the other reviews.